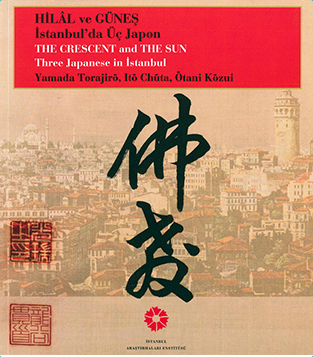 Three Japanese men: Yamada Torajiro (1866-1957), Ito Chuta (1867-1954), and Otani Kozui (1876-1948), visited İstanbul during the early stages of Turkish-Japanese relations. The endeavors and experiences of these three Japanese men in the Ottoman Empire and the Turkish Republic inspired this exhibition. Businessman and tea master Yamada, architect, professor, and the first Japanese architectural historian Itô, and Buddhist abbot and researcher Ôtani were three outstanding men who left their mark in Japan through their respective fields. Coincidentally, the three Japanese grew interested in the Ottoman Empire/Turkish Republic roughly around the same period, in late 19th to early 20th centuries, and left behind works that related to their experiences in Turkey. The exhibition was based on the views and experiences of these three Japanese men; through new finds, historic works, and documents, including objects from Japanese and İstanbul museums, were displayed for the first time, conveying the Ottoman Empire’s and Turkey’s impressions of the Japanese from the Meiji period. Through the adventures of these three Japanese men, the exhibition explored a multi-layered window of history that opens out from İstanbul to the world.